The Fulbright Award was started in 1946 after a bill introduced by Senator J. William Fulbright was passed to use surplus war property to began an international educational exchange program. It has grown to become one of the largest educational exchange programs for students and young professionals and awards 2,000 grants each year in over 140 countries. Mackenzie started the long and intensive application process in August. She began having conversations with her parents and Dr. Jason Morris, Dean of the Honors College and two-time Fulbright grantee in August. She spent hours deciding which country to apply to, writing personal statements, and perfecting her application before submitting it in October while also applying to law schools at the same time. “The waiting was the hardest,” she reflected. “And then I made it to the next round and still did not know what was going to happen.” She received the award for teaching in Malaysia, which she chose because of their reputation of valuing the Fulbright program and hosting their grantees well. Teaching English abroad may be new to her, but being abroad is not. While at ACU, Mackenzie studied abroad through COBA in Europe and has also traveled internationally on her own. “I do think that my study abroad experience will help with the immersion,” Mackenzie noted. “I will not know the language in Malaysia well at first, but I did not know the languages when I studied abroad. 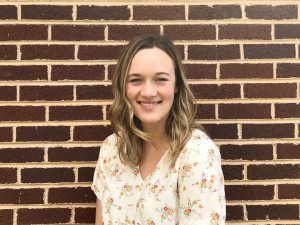 I learned how to travel and be okay in an unfamiliar culture.” Beyond study abroad, Mackenzie is certain that college and COBA have prepared her – and every other student – to be adaptable, hard-working, and critical thinkers, which will serve students well no matter their post-grad plans. We are extremely proud of Mackenzie and excited to see the good work that she will do in Malaysia.